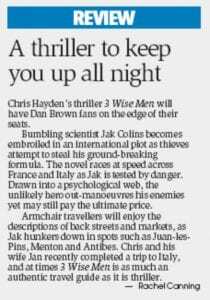 In 3 Wise Men James Hayden takes a formula that’s been tried and tested by Dan Brown, turns it on its head and brings in an edge of seat thriller based on fact and markedly better than any of Brown’s thin and insubstantial efforts. This is a classic thriller with fairly short chapters, which is always good, punchy, gritty realism, gloriously exotic locations and chapter endings that leave you hanging, another tried and tested formula that began with Edgar Rice Burroughs back at the turn of the last century. 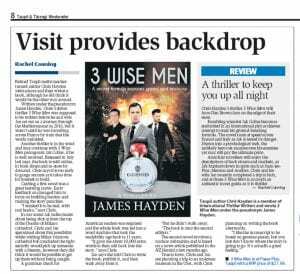 Thrillers don’t come much better than this – huge fun and very entertaining!